Regenerative medicine company Orthocell Limited (ASX:OCC) (“Orthocell” or the “Company”) is pleased to announce positive pre-clinical results using CelGro® collagen rope for Anterior Cruciate Ligament (ACL) reconstruction. The pre-clinical study was led by Chief Scientific Officer, Professor Ming-Hao Zheng, in conjunction with the University of Western Australia. The study was designed to show CelGro® collagen rope was equal to, or better than the use of an autologous tendon graft (such as hamstring) for ACL reconstruction, which can result in donor site discomfort and other associated complications. The top line data indicated CelGro® rope, made from braided collagen fibers has superior biomechanical properties and is capable of replacing autologous grafts for ACL reconstruction. Further, the host ligament stem cells from the ACL stump are capable of ingrowth into the collagen rope for tissue regeneration and integrating with native bone with a tensile strength similar to that of the natural ligament. Professor Zheng presented the positive results at the Raine Medical Research Foundation ACL symposium (“ACL Symposium”), highlighting that collagen rope may eliminate the need for autograft harvest, thus circumventing the donor site morbidity. Professor Freddie Fu, keynote speaker at the ACL Symposium, Chairman of the Department of Orthopaedic Surgery, University of Pittsburgh School of Medicine, specialist in ACL reconstruction, commented: “The use of this new collagen rope for ACL reconstruction is very promising. It could reduce the donor site morbidity and shorten surgical timeframes.” Professor Freddie Fu is a world-renowned orthopaedic surgeon and has treated high profile athletes, including Zlatan Ibrahimovic, striker for Manchester United. 72 cases were involved in the study with 36 cases receiving an autograft and the other 36 cases receiving CelGro® collagen rope for ACL reconstruction. Cases were evaluated at multiple time points undergoing either a regeneration assessment or mechanical test to assess the performance of the CelGro® collagen rope when compared to autologous tendon graft for ACL reconstruction. More pre-clinical studies will be required before human trials can begin. The ACL is one of the major stabilising ligaments of the knee. It connects the thigh bone (femur) to the shin bone (tibia), and once it ruptures, it is incapable of healing. The ACL can be injured in several ways including changing direction rapidly, landing from a jump or direct contact or impact. A ruptured ACL is a common injury suffered by active patients, usually requiring surgical intervention, with a long period for rehabilitation before returning to preinjury activities. There are between 100,000 and 200,000 ACL ruptures per year in the United States alone. 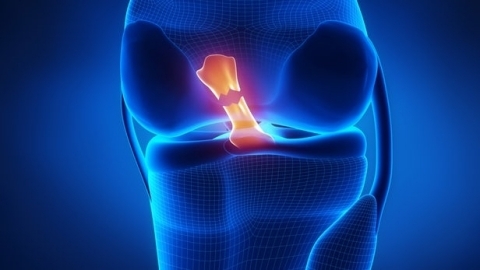 Successful ACL reconstruction surgery tightens your knee and restores its stability. It also helps patients avoid further injury and a return to work and playing sports. Surgical repair mostly involves reconstructing the ACL using grafts from the patient’s hamstring tendon, a procedure that removes part of the patients own tendon to take the place of the ruptured ACL. However, harvesting the patient’s tendon to replace the ruptured ACL is time consuming and can be problematic with ongoing donor site discomfort and in some cases subsequent rupturing of the harvested tendon. To address the ACL reconstruction issues, Orthocell is developing a biological augment for ACL reconstruction, which could make treatment much more efficient and effective by simplifying techniques, reducing surgery time and mitigating the risks associated with harvesting the patient’s own tendon.